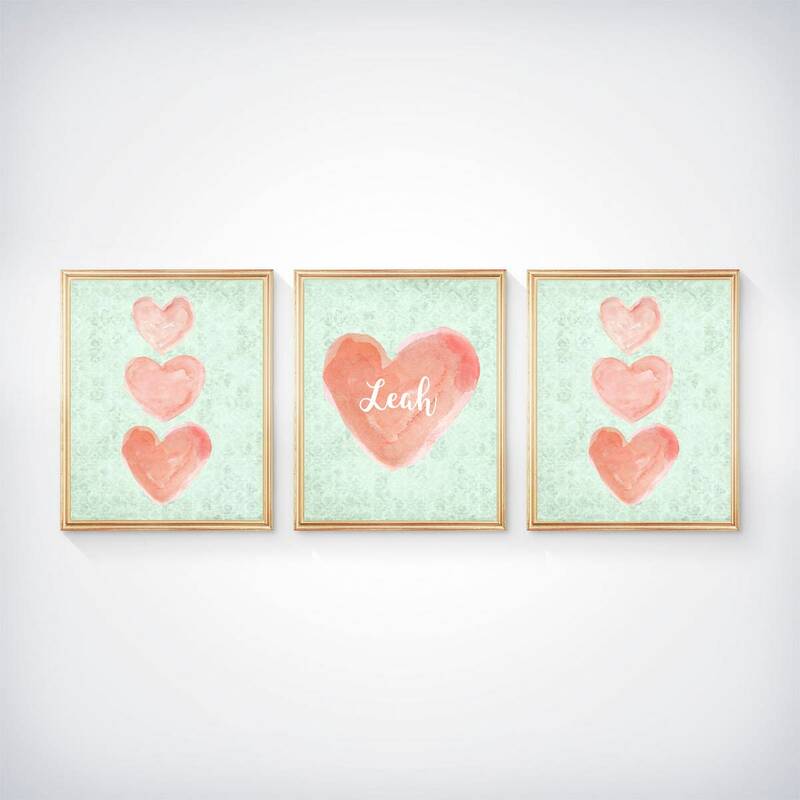 A pretty set of 3 8”x 10” watercolor prints perfect for your coral and mint room. 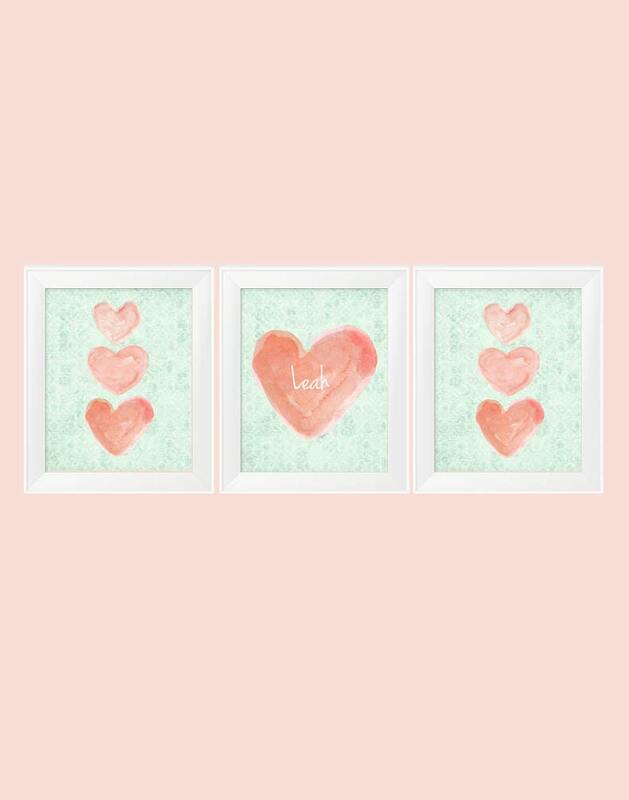 Each print is created from my original watercolor heart paintings. 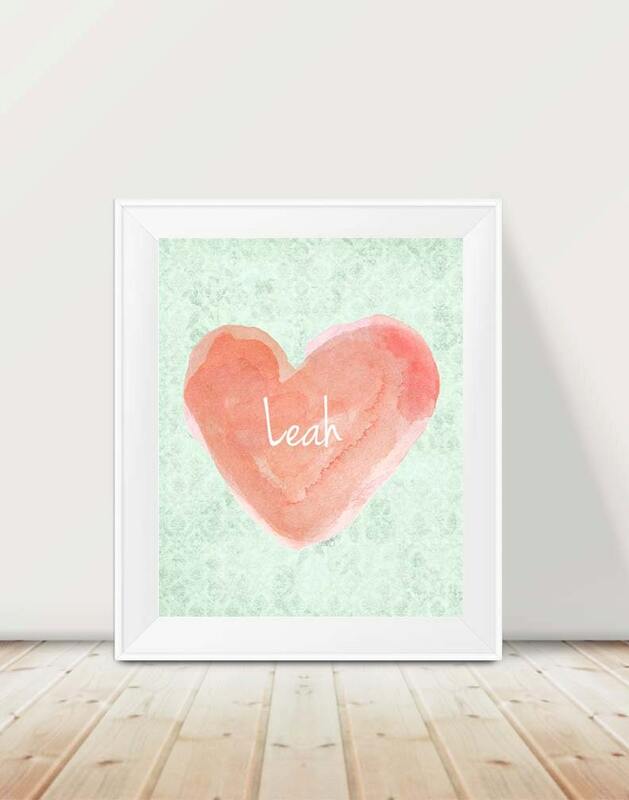 To personalize just add your special name in the notes to seller when you checkout. 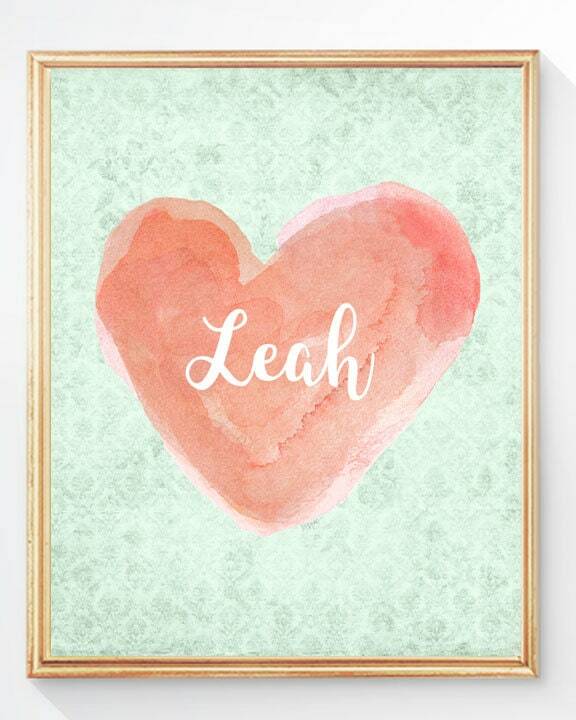 Fits perfectly in a standard 8”x 10” frames. 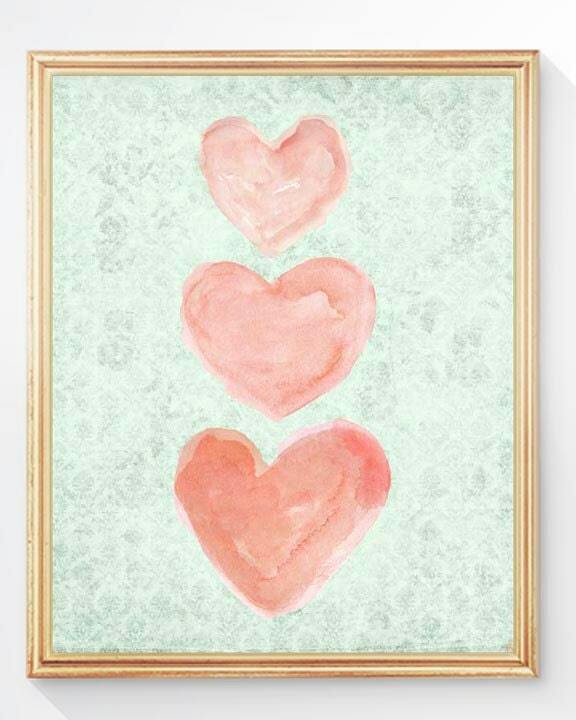 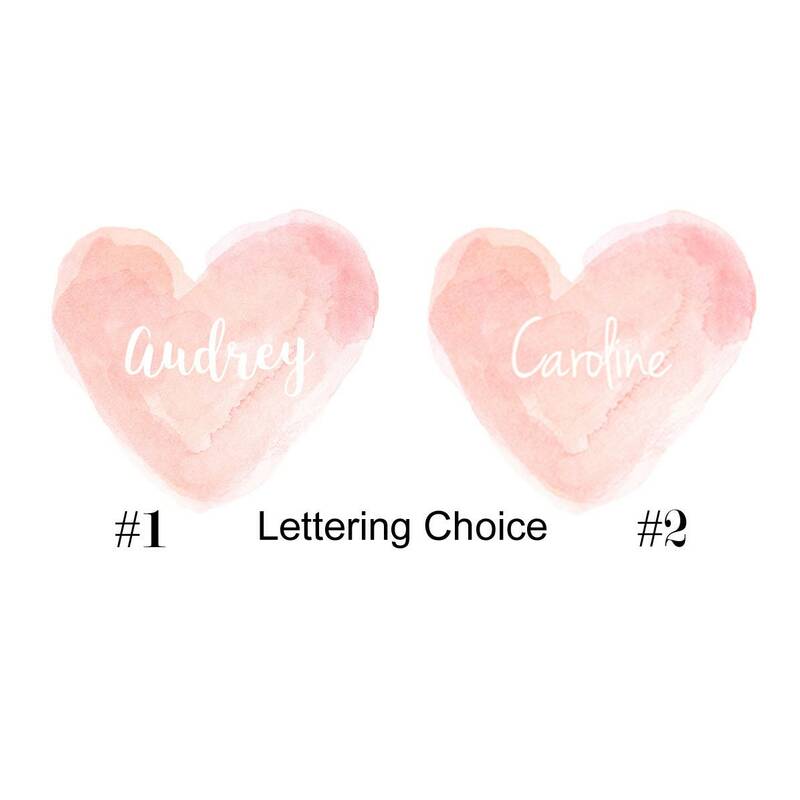 These prints are beautiful and the colors will match my daughters nursery perfectly!